This vintage cookbook was published by General Foods Corp., in 1943 during World War II. 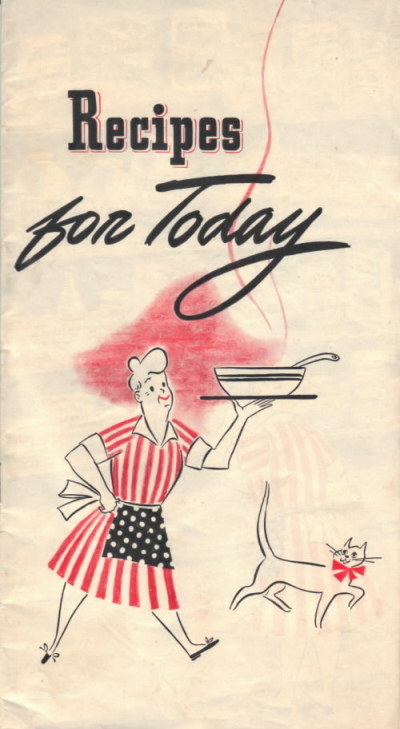 The booklet addresses food shortages and rations that the United States experienced during the war and offers creative ways to prepare meals (using many of the General Foods products). It has a variety of tips that can be helpful even today when working with tightening food budges. Quite the little treasure here!